MEET OUR FRONT DESK CREW! Briar is the new girl in town. She moved to New York in 2017 in hopes to live out her big city dreams. Coming from a small town the city brings so many things that she loves like good food, comedy, people watching and YOGA. Briar grew up watching yoga VHS’s and practicing with her mom in her living room. Over the years she got away from her practice, focusing on school, dance, and cheerleading. Briar went to the University of Michigan and got a Bachelors of Marketing. There she met one of her life long best friends who got her back into yoga. Once moving to Astoria she dove in headfirst. She practices at the Happie House whenever she can get out of work in time or if she has a day off. If not she’s probably at home cuddling her cat Reese or cooking food in her playhouse sized kitchen. Briar hopes to further her practice with doing yoga teacher training and helping others experience the beautiful power of yoga. Bell was born in the Northern Province of Thailand before her family immigrated to the States and finally settling in New York when she was 8 years old. She’d like to think she's a full bred New Yorker as she has lived, was schooled and worked here most her life and definitely shares the firey, quick-witted, no nonsense nor injustice New Yorker persona. Bell was always surrounded by the arts, be it her dance training in ballet and modern and later discovered passionately expressive movements such the likes of hip hop, Horton etc. Throughout her life, one of her biggest physical challanges is dealing and understanding how to cope with her many physical chronic illnesses, which of course took its toll on her mental health over the years as well. She serendipitously one day, during her early college years at Fashion Institute of Technology, searched Youtube for yoga videos to help alleviate her mental stresses which was the catalyst for her to re-discover that her traditional Thai familial upbringing of a holistic lifestyle was where she needed to re-center herself. 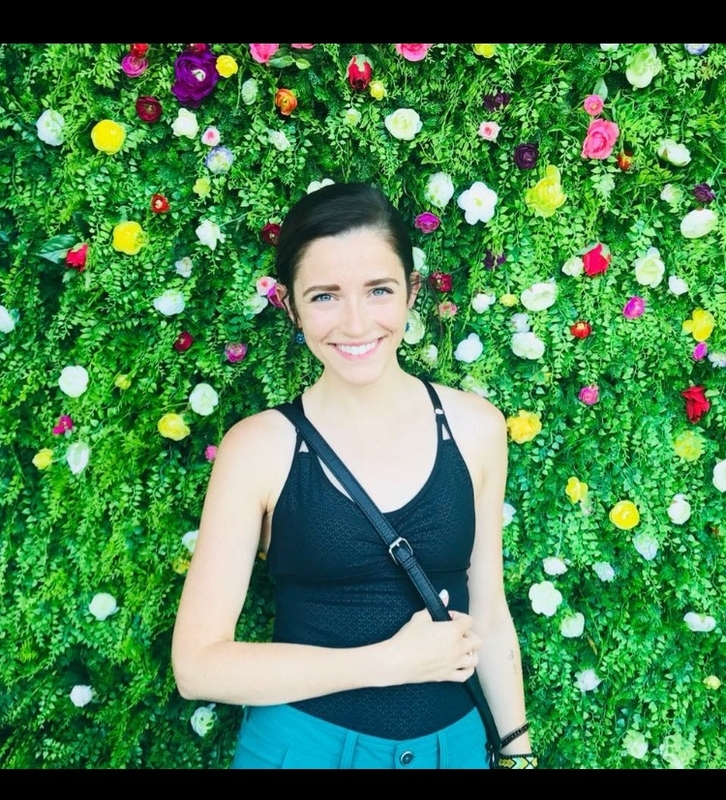 Bell completed her 200+ hour teacher training with Strala Studios in 2014, and now trying to hone a speciality in teaching children’s yoga along side her forte styles of Vinyasa and Power yoga. You will most likely find Bell, when not working as a florist and Visual arts illustrator, taking pictures of plants and flowers she comes across in the wild (concrete) jungle of Manhattan or visiting farmers markets and small local specialty shops. Ashley has a Bachelors of Science in Criminal Justice and a Masters of Social Work with a focus on Family and Communities studies. Her interest in yoga started while in grad school while taking a self-care class. She grew up practicing ballet, tap, and jazz, as well as playing sports, both organized and with friends. After going to college, she lost that physical activity which in turn affected her in other areas: emotionally, mentally, and spiritually. Ashley noticed while starting to research into and practice yoga that all of these areas are nourished by a consistent yoga practice. Without access to a studio, she utilized online resources to learn more about the practice; however, she comes to us with an excitement to further develop her practice alongside a knowledgeable staff. She hopes to one day further her practice enough to become certified and teach yoga in inner-city recreation centers, specifically classes for parents and their children. Outside of work and the studio, Ashley loves photography, traveling, and advocating for social justice.